Norway's 'doomsday' seed bank, which seeks to protect the world's crops from natural disasters, on Monday said it had gathered more than a million varieties as it marked its 10-year anniversary. Dubbed the "Noah's Ark" of food crops, the Global Seed Vault is located deep inside a mountain on Svalbard, a remote Arctic island in a Norwegian archipelago and has the capacity to store up to 4.5 billion seeds. 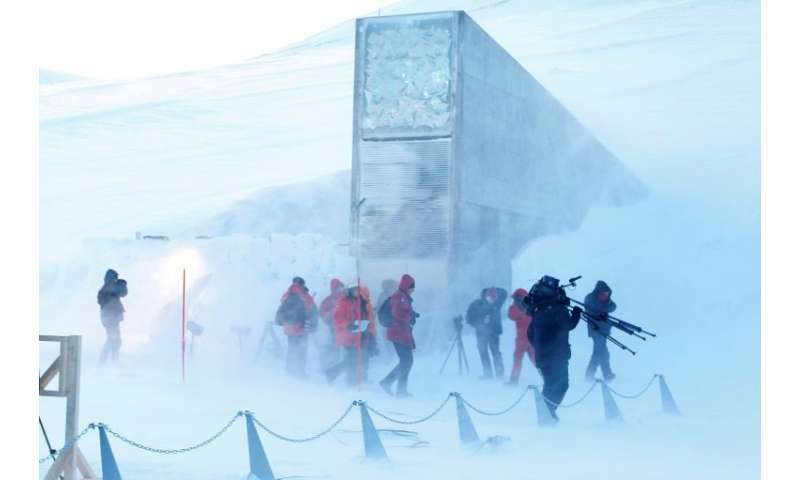 Launched in 2008, the Svalbard vault was on Monday marking its 10th anniversary by taking shipments of more than 76,000 seed samples, with depositors from all over the world delivering crops such as black-eyed peas, the Bambara groundnut and the Estonian onion potato. Although housed in Norway, the seeds belong to the donor states and institutions and they can withdraw them at their convenience. The delivery raises to 1,059,646 the overall number of unique crop varieties deposited in the so-called "doomsday vault" since it opened on February 26, 2008 with the aim of providing a "fail-safe seed storage facility, built to stand the test of time and the challenge of natural or man-made disasters." "I am extremely happy to announce that more than one million seeds will pass through this door to be secured forever," said Norway's Agriculture Minister Jon Georg Dale. The vault currently has 967,216 varities as some Syrian grains were withdrawn with the aim of re-introducing local strains after the fighting in Aleppo ended. Located 1,000 kilometres (620 miles) from the North Pole, the Svalbard archipelago, which is twice the size of Belgium, counts 2,300 inhabitants and is considered the ideal place for the vault due to its remoteness, far from civil strife.